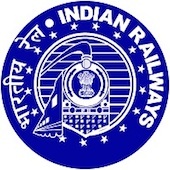 Online Application Details for Indian Railways Southern Railway Recruitment of 16 Commercial Clerk and 61 Ticket Examiner is given below. Application form and duly attested documents are to be sent to The Assistant Personnel Officer, Railway Recruitment Cell, No.5, Dr. P.V. Cherian Cresent Road, Behind Ethiraj College, Egmore, Chennai-600 008. In envelope super scribed with 'Application for the Post of Post Name'.